Over at Examiner.com, I have written a little bit about some comics and comic-related things that came out this week. 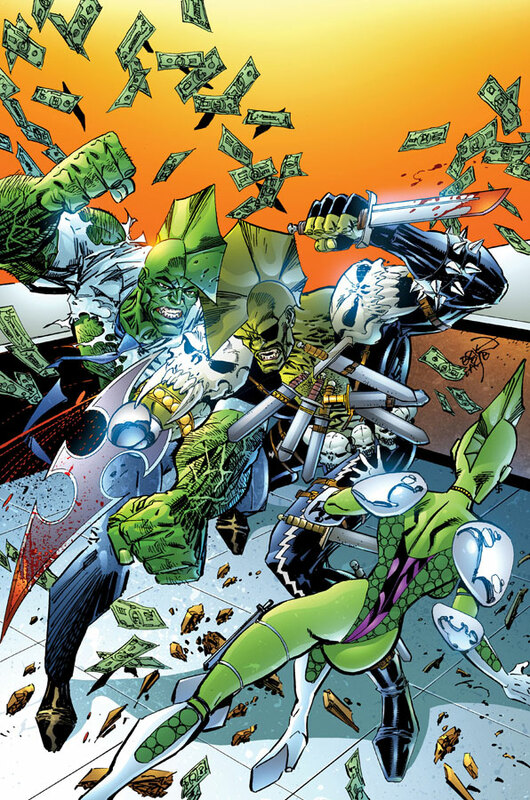 Savage Dragon #155 is one of those. Here‘s the rest! This Wednesday there’s a lot of interesting stuff coming out, if you ask me. New comics by Morrison, Ellis and Azzarello. Steve Dillon’s return to the Punisher. And so forth. More details here. It’s Wednesday, and Wednesday = comics. So here are some comics you can buy today! Strange Tales, Lobo, Criminal…y’know, whatever.